How long has Star been in business? We have been in business since 1987. Over 30 years of providing quality printing supplies! Why should I order from Star? We provide the highest quality products from the top manufacturers in the offset (and digital) printing industry, and we understand the needs of both the press operator and the print shop owner. As a small business, we also understand how important it is to support other small businesses and appreciate each and every order we receive. Does Star stock products? We operated a 3000 sq ft stocking and ink manufacturing warehouse in Denver until 2017, then transformed the business to online ordering in 2019. Products are made and stocked at the manufacturer or supplier, and are shipped directly to you. Products are not available for pickup at our location. Do you still provide custom ink matching? Yes! While we no longer do the matching ourselves, we have a sub-contractor that performs this service for us. Their manufacturing processes are very sophisticated and meet our quality requirements. What Payment Methods do you accept? We accept most major credit cards: Visa, MasterCard, American Express, Discover. 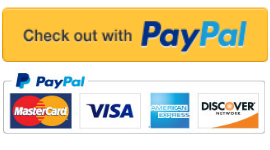 You can also use PayPal and PayPal Credit. Please see our Payments Page for more details. How long does it take to get my order? Star ships products direct from the manufacturer or supplier. This eliminates extra processing and shipping time. Typical delivery time with UPS Ground shipping can be 4-5 days depending on your location. Please see our Shipping Information page for more details. Do you ship internationally? No, we currently do not ship outside of the United States. Can I order direct with Star if I have to use Purchase Orders instead of a card? Yes! Please send us your business information and we can set you up as a direct customer, upon credit approval. Can I purchase items not listed on your site? Yes! If you need an item that isn't on our website, please contact us by email for pricing and availability information. You can also view our various Product Catalogs to find the products you need. Is there a minimum order amount? No order minimum requirements from us! We will take your order if it's one press part, or one pound of ink, or just one dollar order total. More than one dollar orders will be appreciated! Can I change my order once it's been placed? Yes, just contact us as soon as possible after placing the order if you would like to make a change. We will check to see if the order has already shipped. If the order has not yet shipped, we will be able to make any necessary changes. Can I return my order? Yes, if it's really necessary? Ok... Please see our Return Policy page for more information.